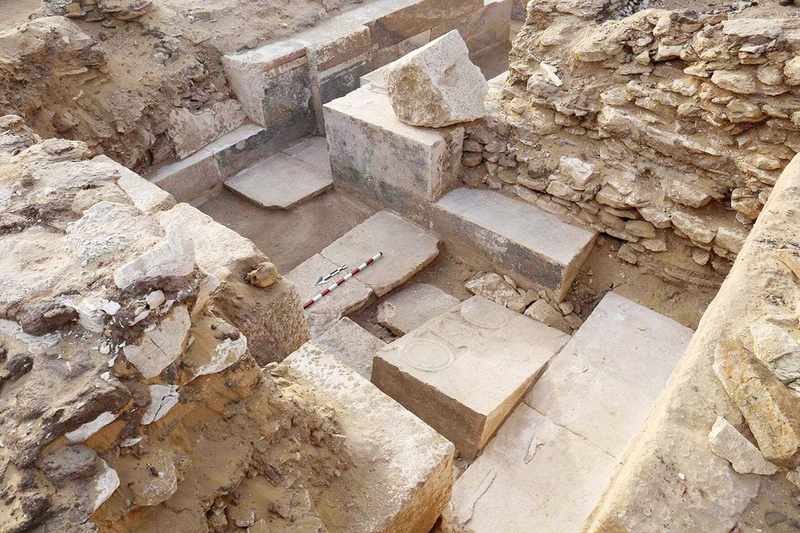 During the excavation and documentation of the pyramid complex of King Djedkare Isesi of the 5thDynasty in south Sakkara (Saqqara), the Egyptian archaeological mission directed by Dr. Mohamed Megahed has discovered a unique tomb belong to a nobleman called "Khuy" and dated to the end of the 5thDynasty of the Old Kingdom (24th-25thcentury B.C). Dr. Mostafa Waziri said that the tomb consists of an upper structure which is an offering chapel in (L) shape. The blocks of the chapel seem to be taken apart since antiquities and reused in other sites as the mission only found the white limestone remains of the lower parts of the walls. 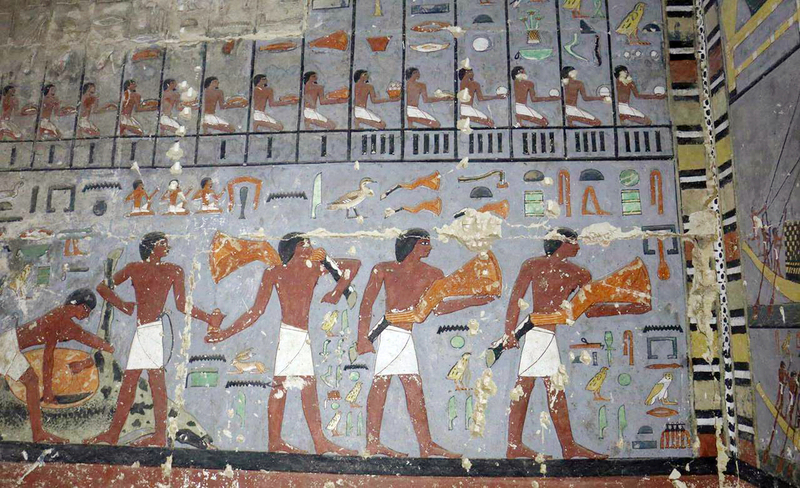 The mission discovered the entrance to the lower structure of the tomb through the northern wall of the tomb which is similar to the 5thDynasty pyramids. 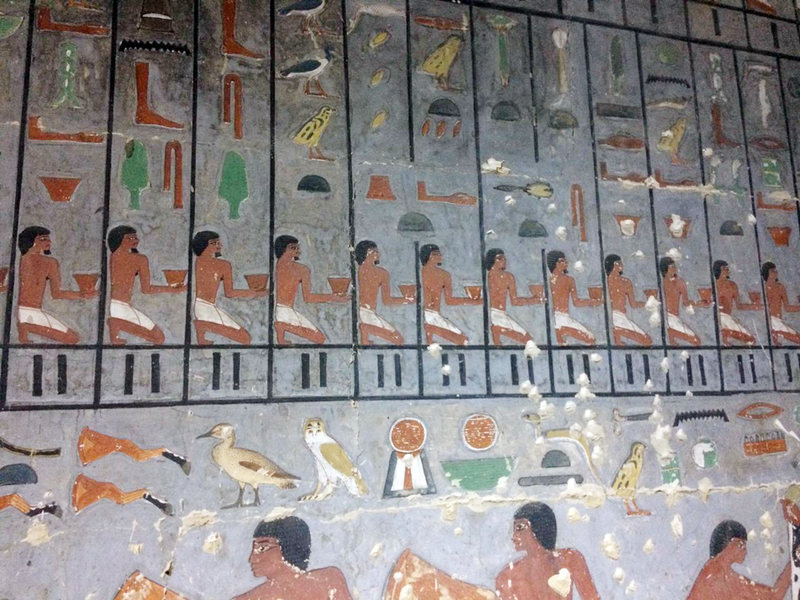 This design to be discovered for the first time in a non-royal tomb of that period. 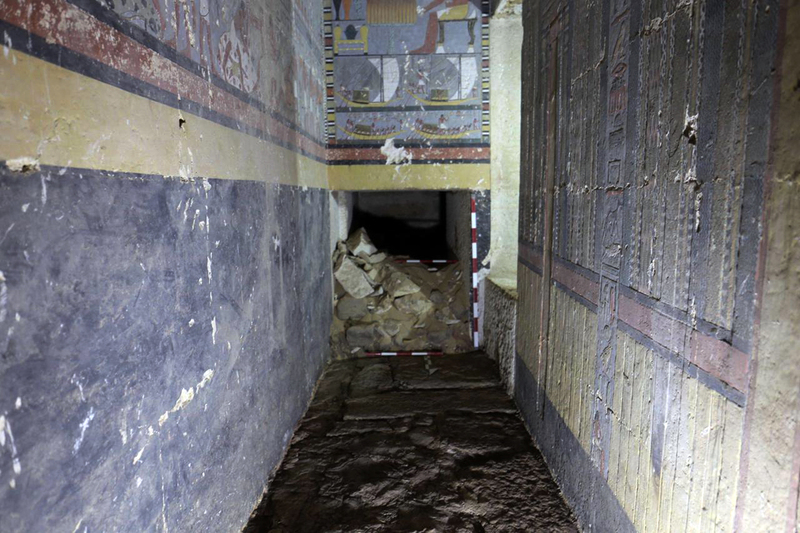 This lower structure of the tomb begins with a descending corridor leads to a small hall then to a room decorated with scenes of the tomb owner sitting before an offering table as well as a scene for the palace façade and the offering list. 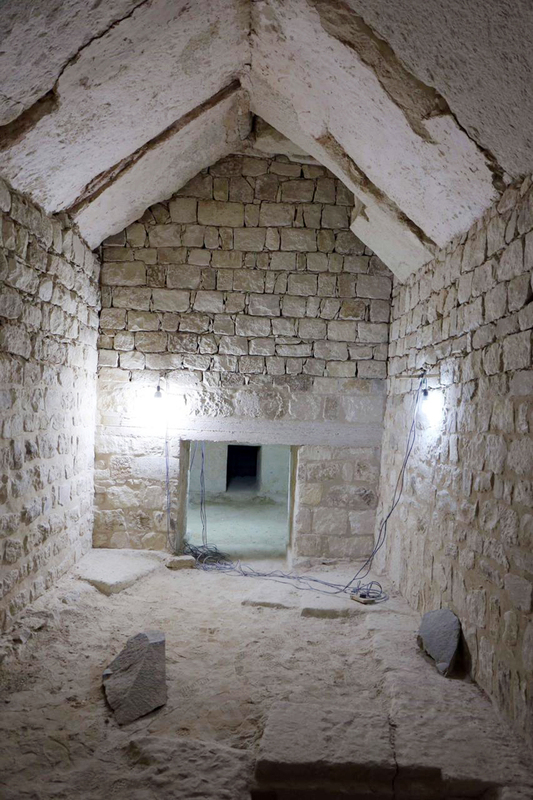 The tomb contains a second room which is not decorated, and it was used as a burial chamber where the remains of a totally smashed white limestone sarcophagus. Yet, the mission found the remains of the tomb owner "Khuy" in between the stones with the remains of oils and resin which was used for mummification process of the deceased. Dr. Megahed said "This discovery amongst others show the importance of the period of the late 5thDynasty in General and King Djedkare in particular. 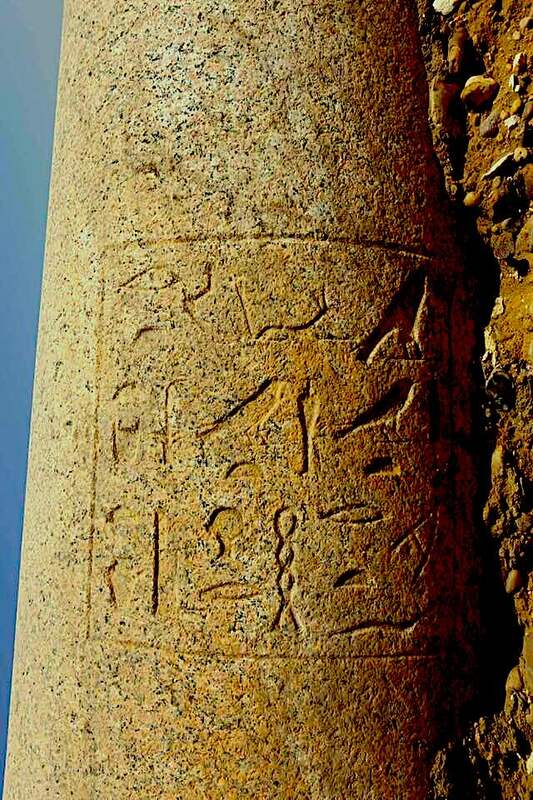 As the mission successfully discovered the name of the King's principal wife "Setibhor" during the previous excavation season inscribed on a granite column in the southern part of her temple." The pyramid complex and the Queen's temple were discovered in the 1950s but no one has any information on the name or title of the owner. The mission has completed the architectural restoration of the interior of King Djedkare pyramid as it was never restored before. 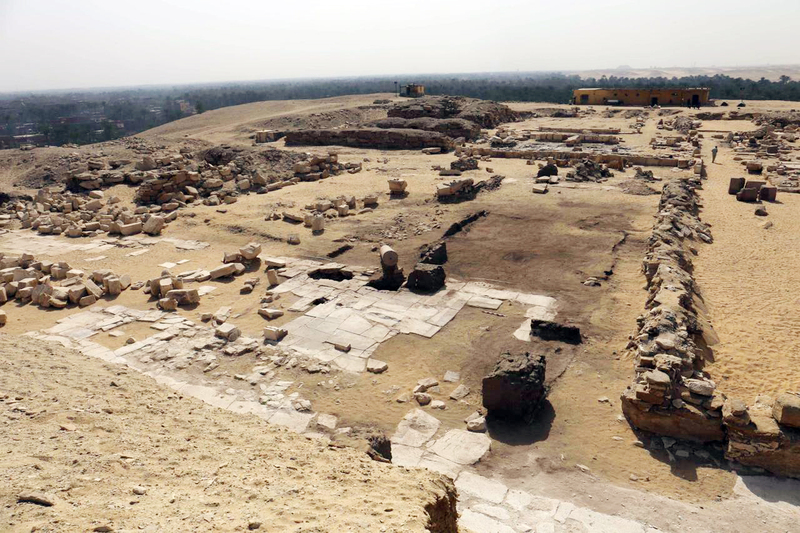 The team will continue working of the restoration and documentation of the pyramid complex of King Djedkare Isesi and his wife to discover more information on the end of the fifth dynasty and the beginning of the sixth dynasty. That period had witnessed a radical change in the ancient Egyptian religion and the first appearance of the pyramids text in Unas pyramids who was the successor of King Djedkare and the end of the sun temples which were built by all of the fifth dynasty Kings before DjedKare Isesi.